It’s pretty simple to be part of this crazy trial series. 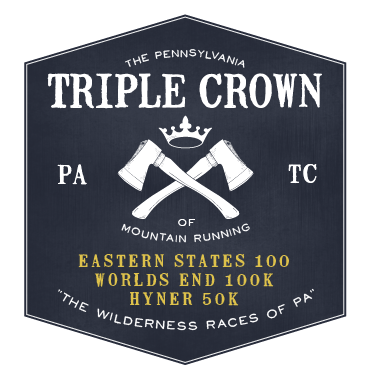 Just enter the Hyner 50k, Worlds End 100k, and Eastern States 100, and if you complete all three races within their cutoff times and in the same year, you’ve earned the right to be called a Pennsylvania Triple Crown finisher. 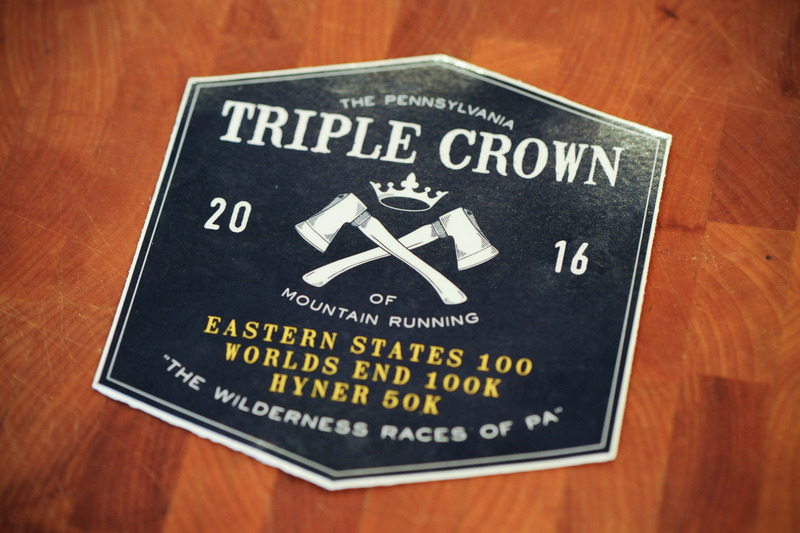 You do not need to sign up or pay for the series outside the individual races, we will aggregate all the finishers at the conclusion of Eastern States 100. A word of advice: don’t wait around to register – these races all sell out quickly. Due to the high interest in the race series and wanting to keep it free and accessible to every runner, we no longer will be doing a complimentary trophy for every finisher. When we first introduced this series, we thought only a handful of people would be interested in doing it. With 40 finishers in 2017, it's just not sustainable to offer $125+ awards to everyone for free. 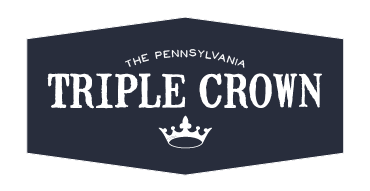 Instead, a handsome handmade Triple Crown trophy will be available for order (at a cost of $55) to finishers after the completion of Eastern States 100. It's completely cool if you don't want a trophy, you still get the bragging rights that go with the membership in what we think will be a pretty awesome club. We also have done away with the points system and the formal Queen and King of the Mountain awards. The overhead and administrative time far outweighed the interest based on the feedback we received. 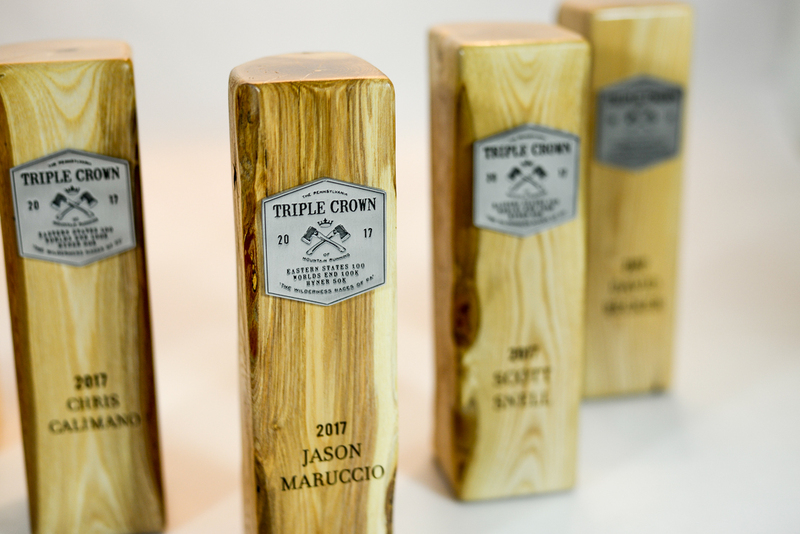 Every trophy is uniquely different and handcrafted by the artists from Bennett Awards. 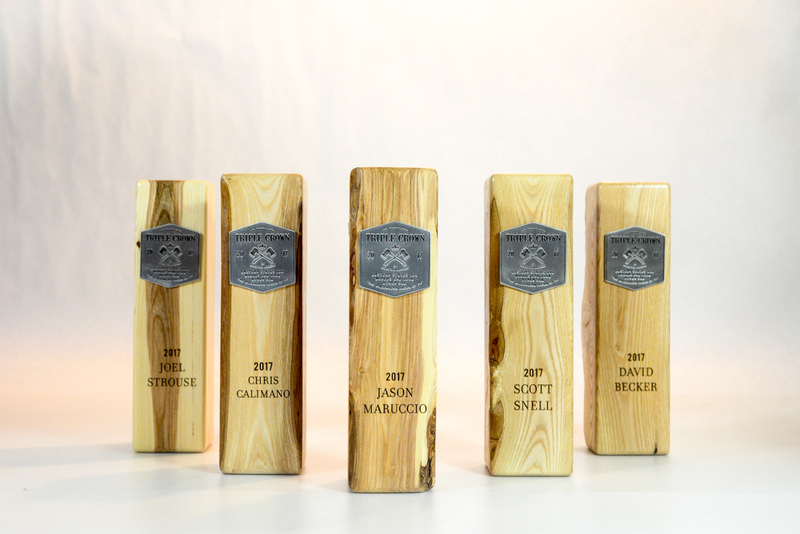 The rough and rugged wood pillars are adorned with a pewter medallion of the series logo and etched with the race year and finishers name. 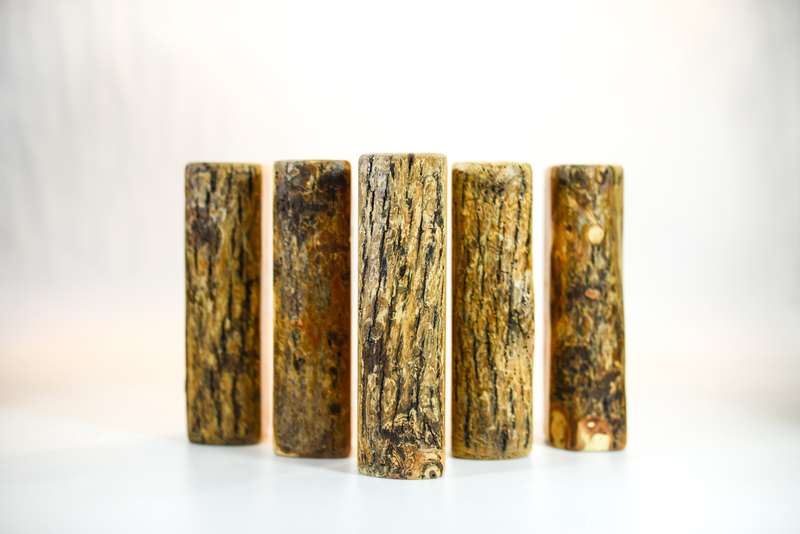 The artists select a different wood species to sculpt each year so they all have their own interesting look. Everyone will also receive a some high gloss finisher stickers for your car, water bottle, etc.